-- HubSpot is sponsoring a free webinar featuring marketing strategist David Meerman Scott focused on the new rules of marketing. -- The webinar will take place on Tuesday, October 9, 2007 at 2:00 ET. Participants can register for the Webcast here. -- The session will provide insights into how organizations can harness the power of online marketing using blogs, podcasts, video, search engine marketing, online thought-leadership and viral marketing. Participants will learn why and how marketing on the web is different. 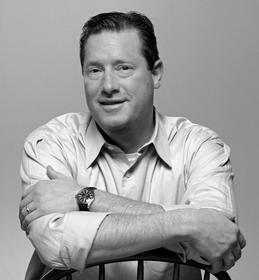 -- David Meerman Scott has joined HubSpot's Board of Advisors. 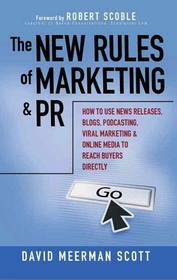 -- Scott is the author of the #1 best selling PR and marketing book, "The New Rules of Marketing and PR: How to Use News Releases, Blogs, Podcasting, Viral Marketing and Online Media to Reach Buyers Directly." He delivers keynote speeches and runs seminars based on his book and has presented at industry conferences and events in over 20 countries on four continents. -- HubSpot offers the first integrated Internet marketing platform to help businesses get found by more prospects and convert higher percentages of them to paying customers. "David is perfect for our advisory board because he shares our passion for changing marketers' understanding and practices in the new Internet-centric world that we live in. Marketing is evolving at breakneck speed and no one knows this more than David. We look forward to working with him in the future as we continue to evangelize our vision for Internet marketing." "Rather than following the old rules of command-and-control, message-driven advertising and PR, organizations need to speak directly to their customers and buyers with targeted messages that help them solve problems instead of bombarding them with interruption advertising they'll likely ignore. I really like what HubSpot has done to make it easy to implement the new rules of marketing by delivering a complete integrated marketing platform for small and medium sized businesses." HubSpot offers the first integrated Internet marketing platform that lets small and medium businesses take advantage of the changing nature of how products are bought and sold. With tools to quickly and easily update website content, add a blog, perform SEO, create landing pages and analyze every step of the process, HubSpot Internet marketing software is the most effective way for small and medium businesses to get found by more prospects and convert higher percentages of them into paying customers. Based in Cambridge, MA, HubSpot can be found at www.hubspot.com and the Website Grader free SEO Tool is available at www.websitegrader.com. About this company HubSpot Inc.